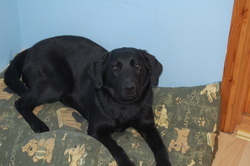 Claire is a 2 year old lab i have been training up for field work, she is not from working lines but is keen to please. she is coming alone well but still not 100% yet but Im sure i will get there. she is steady the the gun and a strong retriever .